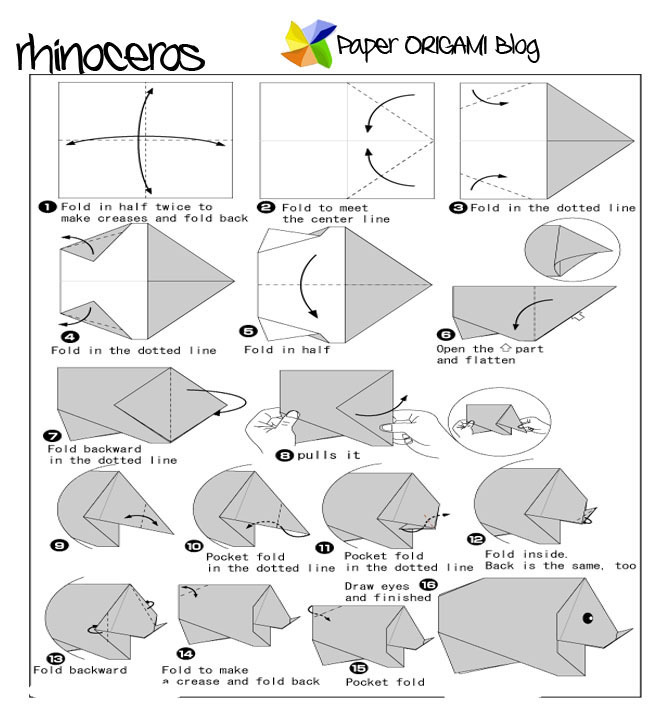 Rhinoceros Origami Here is a simple tutorial for Rhinoceros Origami. Rhinos are animals that are very common in Africa. Sometimes they call it Rhinos. It is characterize by its size and thick skin. Rhinos are herbivorous meaning they only eat Plants. it sad that because of human interest Rhinos population over the years dwindled. Today I will give you the diagram of folding Rhinos Origami. 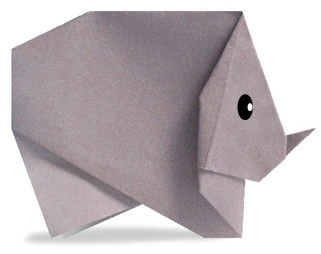 I have numerous post about animals origami you can check it for more animals related origami.